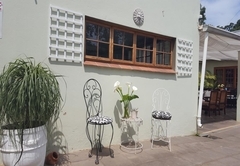 7 on Oakleigh is a highly recommended property providing self catering in Pietermaritzburg for tourists visiting the Natal Midlands region. 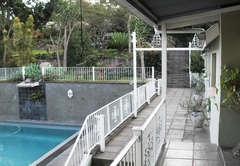 Wembley is a quiet, residential area and the atmosphere at 7 On Oakleigh is restful and serene. 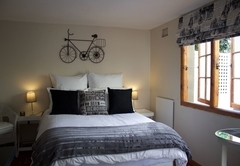 The units are cosy, inviting and clean with very comfortable beds, luxurious percale bed linen and fluffy towels. 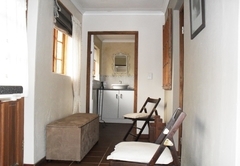 Coffee and tea are provided as well as basic toiletries. 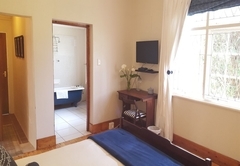 This spacious, open plan studio apartment offers an inviting king-size or twin single beds with soft bedding, an en-suite bathroom with a shower, a Fully and well-equipped kitchenette with a bar counter and a living space with an additional day bed. 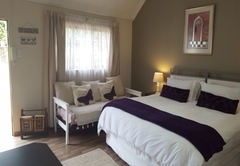 This airy and bright garden flat/ family unit has 2 separate bedrooms, one with either a King or twin beds & a day bed, the other with a double bed, a large bathroom with a shower & an open plan kitchenette & lounge. 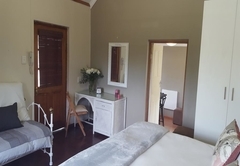 The bedrooms both have a desk/vanity. 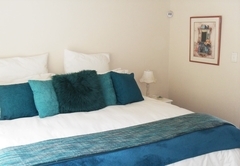 A comfortable and cosy studio apartment with a luxurious double bed. 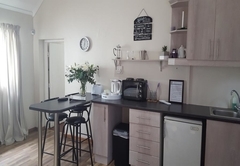 The modern and well-appointed kitchenette is open plan with a bar counter and the room has an en-suite bathroom with a shower. 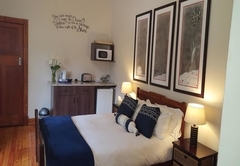 A large, sunny garden flat with a separate bedroom (king sized or twin single beds), an open plan modern kitchenette with granite tops and bar counter, and a cosy lounge with a day bed. 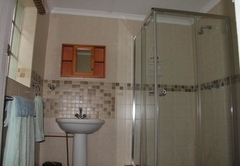 The bathroom is en-suite with shower. Private patio too! 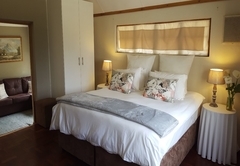 This bright airy room with shiny oregan pine floor has a comfortable double bed, small semi-self catering kitchenette with a bar fridge, microwave, kettle & toaster, en-suite bathroom with a bath & shower over bath and a lovely view of the private garden. 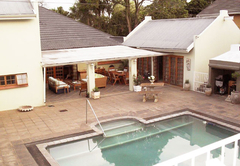 Also available to guests is a swimming pool, braai area, terrace and garden. 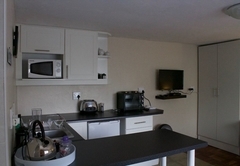 The area has camera surveillance with a 24 hour manned guard hut and armed response. 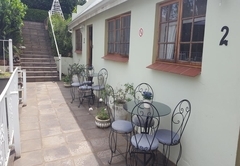 Secure off-street parking is provided with remote controlled access, the rooms are serviced daily during the week and a laundry service is available on request. 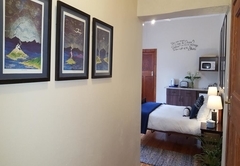 We are also close to some of the Cities top schools, such as The Wykeham Collegiate, Cordwalles, Merchiston, Maritzburg College, Pietermaritzburg Girls High, St Johns, St Charles, Epworth and St Anne’s for parents from out of town. 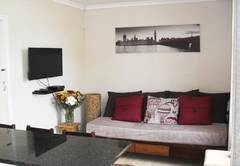 A comfortable and cosy studio apartment with a luxurious double bed. 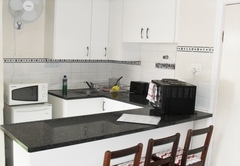 The modern and well-appointed kitchentte is open plan with a bar counter and the room has an en-suite bathroom with a shower. Response time7 on Oakleigh typically responds to requests in 5-10 minutes.